Mark you calendars! PLDT Home's Regine Concert Series will come to Cebu on July 30th. 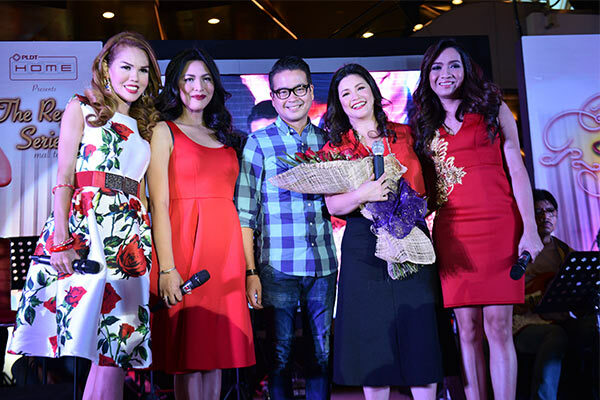 PLDT Home will hit Cebu with the VisMin leg of the Regine Concert Series featuring no other than Asia's Songbird and PLDT Home Ambassador, Regine Velasquez. This musical extravaganza will be staged in SM City Cebu Northwing Atrium on July 30. The Regine Concert Series also features the popular Regine Telset Series. The telset is bundled with any of your PLDT Home plans for just Php 99 on top of your monthly recurring fee. It is one of the most popular Home devices. In fact, the company claims that it ran out of stocks immediately upon public release. The concert series started last April 10 in SM City Bacoor and followed by a jam-packed crowd in SM Pampanga. The VisMin leg of the concert series will kickoff in Cebu City with a 10-piece band under director Raul Mitra. Plus, Michael Pangilinan, Your Face Sounds Familiar runner-up, will also perform for Cebuanos. Furthermore, the Regine Concert Series will go to Davao on August 6. See you there!